cat# on inside of the disc. Amazing concept album. Each track as pleasing as the last. Classical dub techno in that 'locked groove' Maurizio style. Some tracks steer towards the dance floor, some don't but it's all more than suitable to make your brain tick over while you're surfing the web late at night absolutely baked. I would recommend this album to anybody who's into authentic dub techno. Another masterpiece by Igor Arsenjev. If you're a fan of Maurizio's classic 'M' series and want more (bassline and rhythm structure almost blatantly similar), you'll love "Dub Iterations." This album could possibly upset Moritz von Oswald, or he'd give a high five for keeping his vision alive. Meanwhile, in another comparable vein, "Iteration 3" sounds like a cut from Deepchord 13. Point being, if you love classic dub techno from the early masters, get this album. If you're looking for a fresh approach, you may be disappointed. I also highly recommend Gradient's "Abstract Theory" album that has a rather similar vibe, in a good way. Great stuff, I love it and am a proud owner of the limited CDr book release. 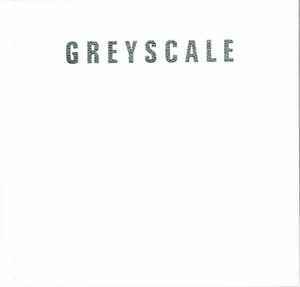 Be sure to follow the Greyscale label, there's some awesome stuff by both Gradient and Grad_U.